To order any of the books mentioned at our BookNotes discount, you can use the link shown below which takes you to our secure website order form page. Or send us an “inquiry” for more information — or call the shop. We’re open 10 -6 every weekday, until 8 on Friday evening, and 10 – 6 on Saturdays as well. If you are ever in South Central Pennsylvania — our place — we would be delighted to welcome you. Recently I had the great privilege of leading a two-hour workshop with a group of people doing church work, reflecting along with these leaders on the nature of long-haul, wholistic, hopeful, ministry. (Also speaking, doing remarkable Biblical study, was my good friend Don Optiz, a Presbyterian minister who serves as the chaplain at Messiah College; you may know his name as I often heartily recommend a book he co-wrote called Learning for the Love of God: A Student’s Guide to Academic Faithfulness [Brazos; $14.99] which is my favorite book to press into the hands of college students.) We invited these folks doing outreach and disciple-making and educational ministry to ponder together what it means to do wise and fruitful work through their congregations or para-church ministries impacting the lives of others for the sake of the gospel. I usually have much to say at times like this – imagine that! – and we had a nice Hearts & Minds pop-up book display, with titles about the nurturing of a Christian worldview and the Christian mind, resources for befriending and mentoring others, books about spirituality and living well in God’s good world, from personal growth to coping with hard times, from leadership development to public justice stuff, from church life to civic involvements. I made an announcement featuring the importance of James K.A. Smith’s new Brazos Press book You Are What You Love: The Spiritual Power of Habit and a handful of others. In my workshop, though, I found myself just wanted to work with two books. We had done some substantive Biblical stuff previously – think of the call to “seek the welfare of the city where God has sent you” vision of Jeremiah 29 – so I wanted to recommend to them, as I want to recommend to you, two recent titles, both which are fantastic. Both would make great book club choices, with lots to discuss, and much to ponder. Both are accessible and not complicated to read and both will, as they say, rock your world. I will tell you about one of them, now, and will reflect more on the richness of Andy Crouch’s Strong and Weak: Embracing a Life of Live, Risk and True Flourishing in the next BookNotes. I ended my talk with these folks drawing on Crouch. But first, I am thrilled to explain to you five things you can learn from this new book. Rev. Leonce Crump is himself a remarkable person, a clear, upbeat, honest writer who tells great stories. He is obviously a lively speaker and good communicator and his leadership at Renovation Church in the urban core of Atlanta is hard-earned. He tells of several failed church positions, fizzled church plants, and struggles in small-town Kentucky and urbane Atlanta. 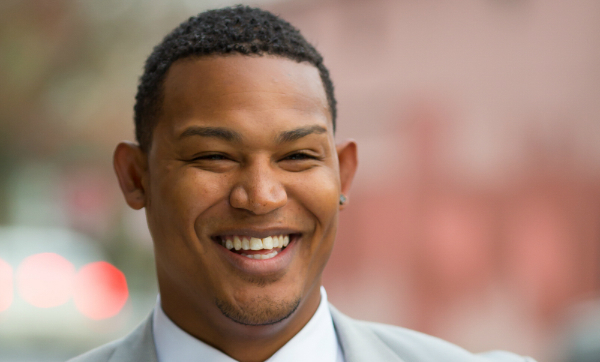 That he has found his stride in a growing urban church is palpable and he is eager to share his ups and downs, the hard realities learned and the great, great joy of helping his church folks learn to love their neighborhood, their town, and the various vocations within their community. His church people seem on fire for Jesus and commitment to the hard work of social transformation. There is a lot of stuff going on in Renovate, but I’ll highlight five very big take-aways from this very fine book — besides the sheer pleasure and great inspiration of reading somebody who can teach and encourage us with the right stuff. My quick summary cannot do it justice. His own stories and Biblical references and explanations enrich his key points, and his light touch makes it a quick, enjoyable read. The structure of the biblical drama has matching book covers… It moves from a creation story through a drama of sin and redemption to a consummation in a new and restored creation. When we opened our store over 30 years ago and talked about this, some thought us odd. But the literature on this nowadays is vast and stimulating. Drawing on the popularity of books as diverse as Surprised by Hope by N.T. Wright or A New Heaven and New Earth by Richard Middleton or the “four story gospel” explained in The Next Christians by Gabe Lyon or Salvation is Creation Healed by Howard Snyder or Creation Regained by Al Wolters or Reconciling All Things by Chris Rice and Emmanuel Katongole or any number of books about wholistic ministry and social justice and racial reconciliation, the “all of life redeemed” theme is one to which many evangelicals are waking up and many mainline folks are recalling from their own DNA: the gospel can transform lives and social structures; Christ is savior and King, the Bible offers personal solace and assurance of pardon but also narrates a grand story of who we are, where we are, what is wrong with the world and what God is doing about it; that is, salvation isn’t merely a life-insurance policy for life after death but offers a quality and caliber of life here and now, inviting us to make a difference in the broken-but-being-redeemed world. Are you content? Do you take simple pleasure in your daily comings and goings? Do you know the topography of your region, appreciate your town? Do you know the history of your place? Are you, as we say, “invested” in the communities you find yourself in? Renovate brings together helpful stories and offers useful principles for church life, urban ministry, neighborhood flourishing, and public justice by offering some very good thinking about nurturing a sense of place. He cites cultural studies gurus like Richard Florida and nature writers like Barry Lopez and Rebecca Solnit. As I wrote in a playful, enthusiastic tweet I sent out when I first looked at an advance readers copy of this, it is notable and fun to see a hip and urbane black church planter quoting Wendell Berry. 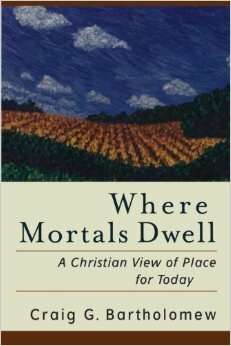 It was less surprising to see him drawing on some of the Reformed theological insights about culture and place from Timothy Keller. I was glad, but not terribly surprised, to see Crump draw wisely on the mature thought of Martin Luther King, Jr. But Wendell Berry? Thanks be to God. So, yes, we need to care about the places we inhabit, learn to love our locales, and have sense of God’s purposes within and for the local cultures and built environments and storied histories where we live. Before moving on to the third major feature of this lively little book might I note that although Crump doesn’t clutter up the book with too many academic references or too many footnotes (although he does have some great ones!) I wouldn’t be surprised if he draws upon (without quoting) the major books on the subject. 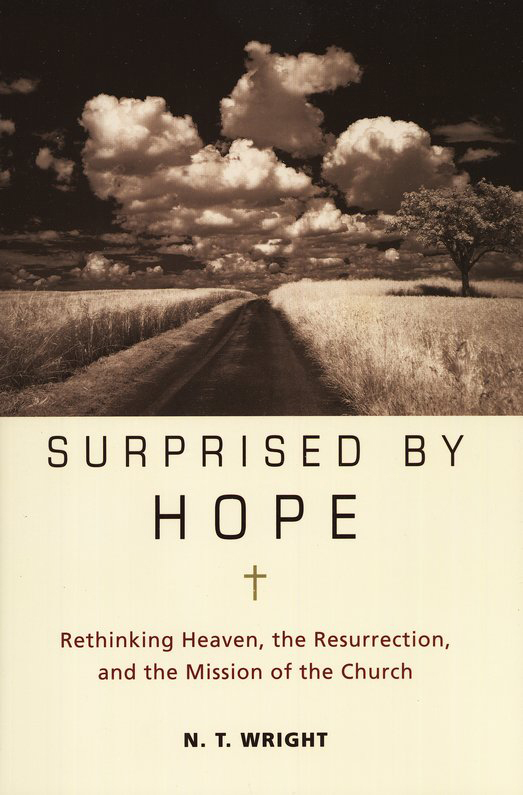 Other theologically-informed writers have developed this topic with great depth. 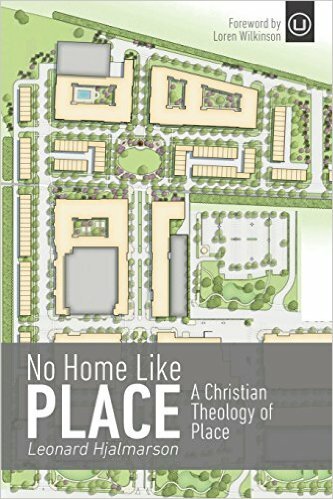 Might I suggest the excellent No Home Like Place: A Christian Theology of Place by Leonard Hjalmarson (Urban Loft Publishers; $16.99) by or the magisterial Where Mortals Dwell: A Christian View of Place for Today by Craig Bartholomew (Baker Academic; $32.00) or the powerful, detailed, complex, and extraordinary Beyond Homelessness: Christian Faith in a Culture of Displacement by Steven Bouma-Prediger & Brian Walsh, all which offer a more substantive, robust approach to Crump’s theme. 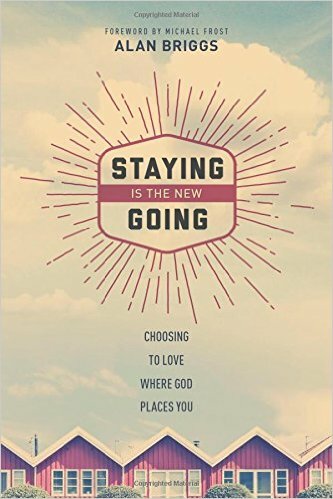 For a lighter, energetic, and truly wonderful book that is similar in many ways to Renovate, see Alan Brigg’s Staying is the New Going: Choosing to Love Where God Places You by Alan Briggs (NavPress; $14.99) which we named as one of the best books of 2015. The obstacle standing in the way of our lives and our communities reflecting the glory of God is transience… the world we live in is one of almost limitless mobility. We can, physically and mentally, be almost anywhere in the world at any moment in time. This is a truly incredible time to be alive. But with all our advances in technology, I’m afraid something has been lost. Because of our now limitless mobility, the great majority of us have lost a sense of place that was inherent to previous generations. It seems, at least from the perspective of most, having a sense of place is antithetical to the postmodern buffet of limitless options and unfettered mobility. In other words, wherever I am right now is the most important place in the world. And wherever I will be next will replace it. The bottom line is this: if I am only connected to a community to the extent that it can sustain me, we have a parasitic relationship, and I will siphon its resources without regard to its well-being. In an impersonal sense, it affects the culture of community. In a personal sense, it affects the people. To explore the impact of virtual and on-line experiences on social relationships see, for example, Sherry Turkle’s Alone Together: Why We Expect More from Technology and Less from Each Other (Basic Books; $17.99.) This is a huge concern for many, actually — the little pocket book by David Kinnaman and Jun Young (part of the Frames series), The Hyperlinked Life: Living with Wisdom in an Age of Information Overload (Zondervan; $7.99), documents that many younger adults, especially, actually feel they are too deeply involved in on-line stuff, and wish for ways out of the constant pressures of being artificially connected and perpetually distracted. 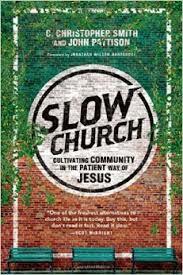 Books like Slow Church: Cultivating Community in the Patient Way of Jesus by C. Christopher Smith & John Pattison (IVP: $16.00) offer serious critiques of our efficiency driven, fast-past, hyper-mobile world, inviting us instead to stability and patience, resisting idols of productivity and success and “quantity over quality” all of which grow best in the fertile soil of an intentional, abiding sense of place. I suppose it is fine to note that even I address this in my long introductory chapter in my own book for college graduates, Serious Dreams: Big Ideas for the Rest of Your Life (Square Halo Books; $13.99) where I question the curious linguistic trick where we often, in affirming someone’s success, say “she really went far” as if staying home or living local is for losers. In that chapter I invite young adults to consider moving home without feeling ashamed, about resisting the lure to think that one must be some glitzy “world changer” by doing extraordinary things. 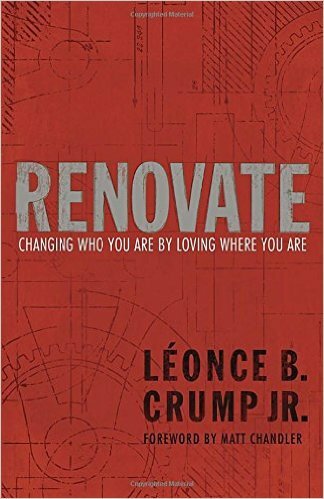 In Renovate: Changing… Mr. Crump reminds us that all followers of Christ are called and sent and that we should desire God’s grace and glory to be known everywhere; that is achieved best, in Crump’s view, mostly by “staying put” and by learning the contours of the contexts in which we form redemptive communities. Yes, we are sent; yes, we are missional (a word Crump gladly does not use.) 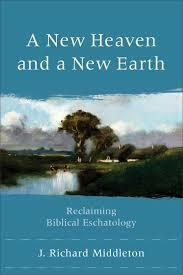 I do love the title of the similar book, though, Staying Is the New Going — Pastor Leonce would agree! The third big point of Renovate: Changing Who You Are By Loving Where You Are is both interesting and challenging (although he gives some nice suggestions about processing it and taking actionable steps.) Crump reminds us that we have to “go to school” to be educated by our place. And every school, he reminds us, includes history lessons. I appreciated that Crump came to understand that as much as he loved the idea of his living and doing ministry in Atlanta, and felt a growing love for the place, he didn’t really know much about the history of the development of the neighborhoods, the institutions, the good and the bad of the region’s past. In my workshop the other day, inspired by Crump’s honest admission about his needing to “go to school” to learn the history of his place of ministry, I invited the particpants in the room to ponder how much they know about the history of the town and place where they served. On a scale of 1 to 10, I asked, how much do you know about the place you live? I cannot stress enough that for you to truly transform a community; you have to understand how it came to be in the first place. So take a moment. Think about it. How well do you really know the place where you are? Can you narrate its story? Can you place names and faces on the ideas and structures that presently govern its existence? Do you know why God needed to send you there? Fourthly, there is something that follows from all of this: namely, that one must learn the culture and ethos of a place in order to communicate well, to contextualize the gospel in ways that are, to put it simply, spoken in the language of the people. Of course, in many places, there are (increasingly so in North America) many languages spoken – metaphorically and literally! So, to talk about “the culture” or “the language” of the locals is itself a bit specious, and it is a dubious proposition to name “the” language of a neighborhood, ethnic group, or generation. Wealth, status, gender, race, professional association, age, family background and even personality type — not to mention religious convictions — are all influential in how people come to perceive the world, and even the most homogeneous neighborhoods or churches have those who are, say, deeply resilient and those that are terribly wounded; there are those who are old and young, men and women, locals and those who recently moved into your community, those who are liberal and those who are conservative and those who are something other. Still, Crump’s point is very colorfully told and a good thing to ponder: are we connecting with the primary “language” spoken in our community? Crump tells a great story of a season in his life when he was doing ministry in a small, almost entirely white, small town in Tennessee. He had to leave his sophisticated learning and multi-ethnic/New Orleans urbane tendencies aside in order to – as Paul put it in 1 Corinthians 9 – “be all things to all people.” He tells about watching Country Music Television and the Blue Collar Comedy Tour (and quoting Larry the Cable Guy in a sermon on John 5!) The connection that eventually developed as he embraced the language of his new friends in his new town, he reports, was nothing less than communion. Pastor Leon asks us to do some thinking about our own sense of the language and ethos and cultural mores of our own context and invites us to some self-reflection, being honest about our own struggles, and what might be behind those struggles, regarding our own incarnation of the gospel in our own context. What you do with page 75 of this book could be of immense importance, I think, and I commend it to you. Lastly, I will note one other take-away lesson to be learned by reading Renovate: Changing Who You Are By Loving Where You Are. It is very important, although not precisely central to his teaching about place as a key theological category and an essential missional strategy. It is, simply, that as a black man Pastor Crump has had an inordinate amount of obstacles – stopped by cops more than his fair share, treated with suspicion or worse, called ugly names, etcetera, etcetera, sadly, etcetera – and that his commitment to advocating for racial justice is not only necessary in his own place of Atlanta, Georgia, but is most likely a necessary part of almost any ministry in almost any place these days. With a gospel-centered vision of reconciliation, and an obviously profound awareness of the depths of systemic injustice and institutional racism, Rev. Crump is able to help us. This will be important stuff to talk about with others, I think, and may be for some the hardest part of the book. Go with Pastor Crump, though, walking towards the necessary implications of this embodied book: be glad that he moves us to deeper thinking about how racial prejudice and the tensions of working in racially diverse settings as well as our longings for (or lack of longings for) multi-ethnic ministry might be part of the story of our place and the story of God’s work in our place. The last chapters of this nice book are obviously written out of a deep passion for justice and considerable experience in naming and working for Christian answers to what some call “America’s original sin.” Especially in our post-Ferguson world, any book about learning to love our places, learning the history and language of our regions, and doing incarnational, embodied ministry framed by a vision of God’s restoration a-coming simply must deal with race and racism. I am glad for this part of Renovate and this aspect of the ministry of Renovation Church, and it gives the book some considerable bite at the end. That Leonce ends the book with a potent quote from Wendell Berry – from the Kentucky farmer’s own book on race called The Hidden Wound – is helpful. This is not a concern only for those in the ghettos or big cities. 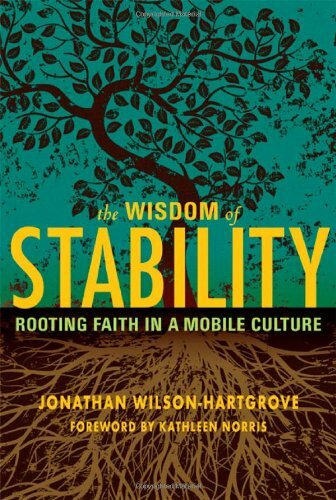 As Berry reminds us, and as Crump knows, resisting injustice and doing Christ-centered, gospel-based, ministries of Kingdom restoration must be local, must be embodied in place, and therefore, must deal with the perplexities, joys, and sorrows of how the down-to-Earth realities of skin color, economic status, and cultural norms can divide and harm us, each in their own ways in our own unique places. The transcript of this conversation in this one chapter isn’t edited, and it feels like an informal conversation. It annoyed me a bit at first, but then it hit me: this is as it should be. Pastor Leonce is showing us the real deal, here, walking the talk, revealing something about his own life in his own space among his own community. We need to do this, too: gather with friends and talk about important stuff that matters, stuff that matters to you, to you and your place, here in God’s redeemed house, Christ’s own restored B&B. Renovate: Changing Who You Are By Loving Where You Are can help. I invite you to buy it from us, or your local bookshop (if you’ve got one) today.